This stained glass window in the First Presbyterian Church in Urbana was given as a memorial to William M. Patrick, who died in a Civil War battle. The window shows a Union Army camp with, railroad tracks and soldiers’ tents. This stained glass window at the Woodstock Community Church includes Civil War soldiers, war medals and Gen. Logan. WOODSTOCK – The Woodstock Community Church is hosting a Commemorative Program on Sunday afternoon, May 28 at 3:00 P.M.. Rev. Frank Summerfield will present information that he has gathered about General John A. Logan, whose picture appears at the top of the Civil War Memorial Window in the church. Logan felt that there should be a Memorial Day, and, as Commander in Chief of the GAR (Grand Army of the Republic) after the war, issued a “General Order” for the observance of such a day. The program will include information, and an opportunity for visitors to view the window and the church interior. Participants may join in singing some Civil War music, directed by Dr. Janet Ebert. 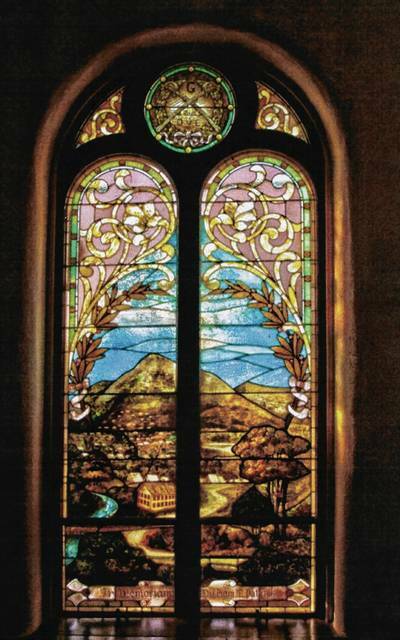 In order for interested persons to view another Civil War Window, which is in the First Presbyterian Church in Urbana, an open house will be held from 4:00 to 5:30 P.M.
That window is dedicated to the memory of William M. Patrick, thought to be the first serviceman from Urbana to have been killed in battle. The window incorporates an American flag and railroad tracks, as well as soldiers’ tents. The Woodstock Community Church can be reached by taking Route 559 north of State Route 36. The Urbana church is located one block north of Route 36, one block west of the square. Directions will be available at the Woodstock church. For that day only, the detour need not be observed. https://www.urbanacitizen.com/wp-content/uploads/sites/36/2017/05/web1_Civil-War-Encampment-1.jpgThis stained glass window in the First Presbyterian Church in Urbana was given as a memorial to William M. Patrick, who died in a Civil War battle. The window shows a Union Army camp with, railroad tracks and soldiers’ tents. 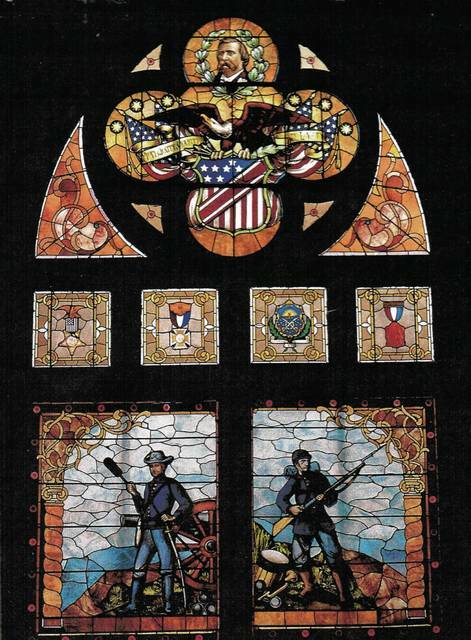 https://www.urbanacitizen.com/wp-content/uploads/sites/36/2017/05/web1_66th-OVI.jpgThis stained glass window at the Woodstock Community Church includes Civil War soldiers, war medals and Gen. Logan.